This time last year, I gazed into my crystal ball gimmick in an attempt to forecast the year ahead for professional wrestling. On reviewing the article, it’s fair to say that I got more of my assumptions wrong than right. However, I’m claiming credit for my prediction that Paige would marry Ric Flair: what is Alberto Del Rio, with his expensive suits and love of a bevy, if not a Mexican Ric Flair? Given my less than stellar hit rate, I’ve adapted the column for the new year: I’m not predicting what will happen in 2017; rather I’m stating what I would like to see happen, a pro-wrestling wish list if you will. Let’s start with matters close to home. WWE vs WCW was an American wrestling conflict that audiences were deeply invested in. Many fans watched both shows but everyone had their favourite, their brand that they wanted to see secure bragging rights when the Monday Night Wars reached their inevitable conclusion. The action on television may have been scripted but the real life competition gave it an edge that elevated the viewing experience. Could British wrestling be about to get a taste of such competition? For years, the UK scene has been territory based, with promotions running certain towns and cities, happy to share talent and never going head to head within the same market. This collaborative approach has been great for the wrestlers and the fans but could the business model be about to change? As WWE prepare to launch their own UK brand, ITV have resurrected World of Sport: two major companies are set to fund the biggest battle UK wrestling has ever seen, competing over talent and media attention. This could lead to great storytelling and immense match ups. Marquee events could go head to head as WWE run London while WOS hit up Manchester: wrestling would be a hot ticket across the land. And with PROGRESS making reference to their own “tapings” in March, it could be that a third dog will enter the fight, with Camden’s finest taking the ECW role: the alternative, cult offering with the rabid following and unique vibe. 2017 could well be the year when wrestling goes mainstream in the UK. TNA finds a home…the WWE Network. If the WWE Network is to become the true hub of wrestling, it needs as much diversity as possible. It has NXT, 205live and now the UK brand but these are all quite similar: indie in HD. 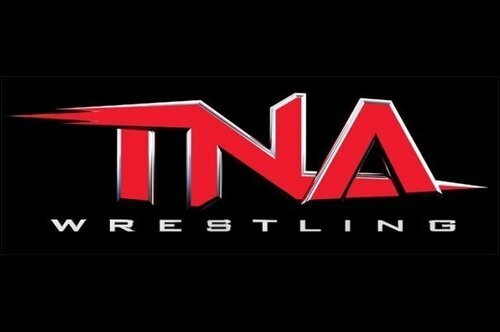 TNA has more history attached to it, a roster that sets it apart and a touch more sports entertainment in its DNA: its back catalogue could be promoted alongside new episodes of Impact and current WWE performers such as Bobby Roode, Samoa Joe and Sting could make cross-over appearances. We all know that Vince has never seen TNA as competition so an invasion angle with the WWE wouldn’t happen. However, a TNA vs NXT feud could allow Triple H the chance to rebook the invasion in his own image, providing Network only content that could legitimately appeal to new subscribers. Due to various court cases, legal disputes and interference from mid 90s alt rockers, this happening is the longest shot of all. But if a deal could potentially be made that results in Broken Matt Hardy on Renee Young’s Unfiltered, I think we should allow ourselves to dream. I’m a big Ronda Rousey fan but this year’s WrestleMania may be a bit soon to book the MMA star, who, whilst a pioneer to be respected, has lost some lustre in the wake of two devastating knock outs. This doesn’t mean that WrestleMania can’t have some MMA involvement: in fact, Connor McGregor should be booked in a prominent role. Just as Mike Tyson’s notoriety enlivened the build to WrestleMania 14, the UFC lightweight champ, a bona fide super star and, despite his comments in the media, a wrestling fan, would use his promotional know how to draw attention to the show of shows. There is no way that the UFC would let him wrestle but as he is on a hiatus from the fight game, he would be available to appear (should the price be right). Best use of the man: he and The Rock enter a Trump/McMahon style challenge and select and corner two fighters for a mega match. That’s a massive rub for the two wrestlers chosen but the real appeal would be the promo wars between The Notorious One and The Great One. Elite banter guaranteed. 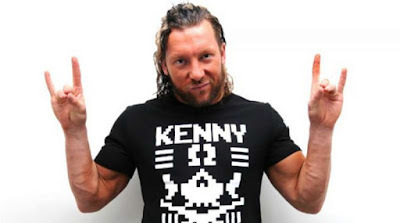 Hey RevPro, book Kenny Omega for York Hall in 2017. Cheers. One of my predictions for 2016 was for the The Miz would have a great year; the thing is that I thought it would come as result of a managerial role, whereby he represented a larger, more dominant wrestler, essentially becoming a Paul Heyman who could bump. Instead, the addition of a manager to the Miz’s own act, in the form of his real-life wife Maryse, has proven the catalyst to refining and perfecting his arrogant, Hollywood bubble heel. His feud with Dolph Ziggler in the fall was excellent, their bout at No Mercy the first time that the former reality show star has truly competed in a near perfect match. Now WWE should strike while the iron is hot. A title run in 2017 would reward Miz’s self-belief and hard work and he would be the perfect foil for John Cena and (the surely soon to be babyface) AJ Styles. If John Morrison where to come back, that’s a three month programme that writes itself. I’d slightly tweak the gimmick and add Baron Corbin to the package as a heater; such chicanery would suit the Miz’s act, allowing him to keep the strap whilst preventing Maryse’s interference from getting over-exposed. It would also set up a future programme between the two. Miz vs Corbin could be effective whichever way you cast the face/heel roles. Whilst I’m at it, here’s a crazy prediction for 2018: The Miz will be one of the biggest babyfaces in the promotion.